Good Charlotte in Nova Rock 2017, Austria. Good Charlotte is an American rock band from Waldorf, Maryland, that formed in 1996. Since 1998, the band's constant members have been vocalist Joel Madden, guitarist and vocalist Benji Madden, bassist Paul Thomas, guitarist and keyboardist Billy Martin, while drummer Dean Butterworth has been a member of the band since 2005. After a four-year-long hiatus, the band announced its comeback on November 3, 2015. The band has released seven studio albums: Good Charlotte (2000), The Young and the Hopeless (2002), The Chronicles of Life and Death (2004), Good Morning Revival (2007), Cardiology (2010), Youth Authority (2016), and Generation Rx (2018), as well as two compilations: Greatest Remixes (2008) and Greatest Hits (2010). Benjamin Levi Madden is an American guitarist, vocalist, songwriter, and producer. He is the lead guitarist and backing vocalist for the band Good Charlotte, as well as pop rock collaboration The Madden Brothers. He formed both of these acts with his identical twin brother, Joel Madden. Benji was a coach on The Voice Australia from 2015-16 with his brother Joel. Paul Thomas is an American musician best known as the bassist for the pop punk band Good Charlotte. William Dean "Billy" Martin is an American musician best known as the rhythm guitarist and keyboardist of the pop punk band Good Charlotte. Jimmie's Chicken Shack is an American alternative rock band from Annapolis, Maryland. They emerged through MTV as one of the first post-grunge bands of the 1990s. Goldfinger is an American punk rock band from Los Angeles, California, formed in 1994. In their early years the band is widely considered to have been a contributor to the movement of third-wave ska, a mid-1990s revitalization in the popularity of ska. However, the releases of Open Your Eyes and Disconnection Notice saw the band shed most of the ska influence, and they have been more commonly placed in the punk rock genre in later years. Apart from the band's music, Goldfinger is also noted for their political activism, particularly in the area of animal rights. Mest is an American pop punk band originally formed by lead vocalist and guitarist Tony Lovato, bassist Matt Lovato, drummer Nick Gigler, and guitarist Jeremiah Rangel. They broke up in 2006 after eleven years, but temporarily reformed in California in 2008 for a "final tour." Later, it was announced that the classic lineup of Mest, with T. Lovato, M. Lovato, Gigler, and Rangel, would be getting back together. Daylight Records was an American record label and subsidiary of Sony Music Entertainment, operated through Epic Records. 2002's The Young and the Hopeless sold 4.9 million copies and thrust the band into mainstream popularity. The band's breakthrough single, titled "Lifestyles of the Rich and Famous", topped both pop and rock charts around the globe. Singles that were released from the album include "The Anthem", "Girls & Boys", "The Young and the Hopeless", and "Hold On". The band cited Rancid, Social Distortion, and The Clash as influences for the album. In May and June, the group went on a co-headlining US tour with Simple Plan,  dubbed the Noise to the World tour. They were supported by Relient K.  A few dates into the tour, Wilson left the group citing to health concerns. He was replaced by Dean Butterworth. The group met him through John Feldmann of Goldfinger. "The Chronicles of Life and Death" was released as a CD single in Australia on June 3 with live versions of "The Chronicles of Life and Death" and "Mountain", and a remix of "I Just Wanna Live" as B-sides. "We Believe" was released as a single on August 15. In October, the band appeared at the Bridge School Benefit. On November 13, the album was released on the DualDisc format. It included a making-of documentary and live performances. Later, in March 2007, Butterworth was confirmed as the band's permanent drummer. Good Morning Revival is the fourth album by Good Charlotte and the follow-up to 2004's The Chronicles of Life and Death. It was officially released in March 2007, with the precise date varying by country.Good Morning Revival debuted in the top 10 of thirteen countries worldwide including the U.S., giving the band some of its highest international chart positions thus far, and went on to sell 4.5 million copies. At midnight, on January 23, 2007, the record was made available for pre-order on iTunes. When pre-ordered, the single "The River" could be downloaded immediately, while the rest of the album was queued to be downloaded on the release date. Pre-ordering on iTunes also provided the exclusive bonus acoustic version of the song. This album was suggested a different sound for the group apart from the group's pop punk roots. The first single from the album, "The River", featuring Avenged Sevenfold's lead singer M. Shadows and guitarist Synyster Gates, appeared online on January 4, 2007, and was released as the first single from the album in North America. The music video for "The River" was added to UK music channels Kerrang! and Scuzz on April 13, 2007, making it the second single released from the album in the UK. The song charted at No. 108. "Keep Your Hands off My Girl" was released as the first single in the UK and Australia. "Keep Your Hands Off My Girl" charted on the UK Singles Chart at No. 36 the first week of release through download sales and then climbed to No. 23 when released in stores. The second single released in North America was "Dance Floor Anthem", with which the band had scored a surprise hit, making it onto 11 different Billboard charts and peaking at No. 2 in Australia. [ citation needed ] The "Keep Your Hands Off My Girl" video was certified gold by MTV International in December 2007. It was played 3,000 times on over four continents during the first half of 2007. On January 1, 2008, Good Charlotte was featured on Tila Tequila's New Year's Eve Masquerade on MTV, as the band was the second performance of the new year and performed its hit "Dance Floor Anthem". The band made multiple U.S. and international TV appearances in support of the album. First, Good Charlotte appeared on The Tonight Show with Jay Leno on April 9, 2007, the Outdoor Stage on Jimmy Kimmel Live! on April 11, and on The Late Late Show with Craig Ferguson on April 27. Joel and Benji Madden, Good Charlotte's lead singer and guitarist respectively, co-hosted the Australian MTV Video Music Awards with Fergie on April 29, 2007 where the band also won the "Viewers Choice Australia" award for "Keep Your Hands Off My Girl". In August 2007, the band embarked on Justin Timberlake's FutureSex/LoveShow tour, as Timberlake's opening act. Good Charlotte supported Timberlake throughout his second leg North American dates. The band was present for the show of August 16, 2007 in Madison Square Garden, which was taped for a HBO broadcast. On November 25, 2008, Greatest Remixes was released. This compilation album includes 15 songs from previous Good Charlotte albums remixed by other artists such as Metro Station, Junior Sanchez, William Beckett from The Academy Is..., Patrick Stump from Fall Out Boy, and The White Tie Affair featuring Mat Devine of Kill Hannah. 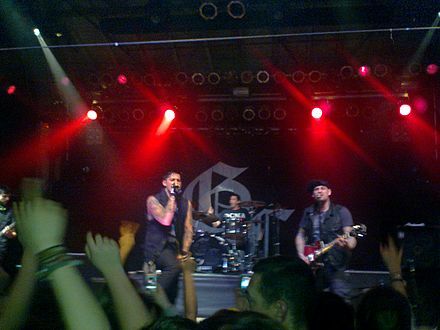 Good Charlotte performing in 2011. The band released its first single "Like It's Her Birthday" featuring Tonight Alive  from the new album on August 24, 2010. The band posted the song online August 5, 2010, and wrote on its website that if the video of the song received more than 100,000 views, the band would post another song from the album. The video reached 100,000 views on August 15, 2010 and the band released "Counting the Days" as a video on its YouTube channel and announced that it will be the second single from the album. The music video for "Like It's Her Birthday" has cameos from The Maine's lead singer John O'Callaghan and guitarist Kennedy Brock and Boys Like Girls' lead singer Martin Johnson, and guitarist Paul DiGiovanni. On November 5, 2010, Good Charlotte's former label, Sony Music, released a Greatest Hits compilation for Australia, spanning 16 singles from the band's four studio albums released on that label. The compilation was later released in the US on January 6, 2011, and in Japan on February 16, 2011. On September 1, 2011, Good Charlotte announced a hiatus via interview with Rolling Stone , but The Madden Brothers released a free mix tape in October 2011, Before — Volume One . and their debut album Greetings From California was released in September 2014, which featured Good Charlotte drummer Dean Butterworth as session performer. On November 3, 2015 the band announced an end to the hiatus through Alternative Press . On November 5, 2015, the band released a single, "Makeshift Love". A music video for "Makeshift Love" featuring Mikey Way and John Feldmann was released on November 13, 2015. The band performed its first show since its reformation on November 19, 2015, at The Troubadour in West Hollywood, California. The band supported All Time Low on the UK and Ireland leg of the Back to the Future Hearts tour in 2016. On December 8, 2017, the band released a 3-song EP, A GC Christmas, Pt. 1 ,  which included a cover of Wham! 's Last Christmas , a full-band version of their previously unreleased song, Christmas by the Phone, and an alternate version of Let the World Be Still, originally by their side project, The Madden Brothers. The band played a surprise guest set on the final Vans Warped Tour on July 29th, 2018. Sticks and Stones is the third studio album by American pop punk band New Found Glory. North is the third and final studio album by American rock band Something Corporate. Near the beginning of the writing process for the album, vocalist and pianist Andrew McMahon and guitarist Josh Partington wanted it to "sound like a winter album", in contrast to their debut album Leaving Through the Window (2002) which they viewed as a "summer album". After losing focus through constant touring, the group decided to record an album in Seattle, Washington. Recording took place at Robert Lang Studios in Seattle with producer Jim Wirt in May 2003. After relocating to Los Angeles, California, further tracking was done at 4th Street Recording in Santa Monica. Yellowcard was an American rock band that formed in Jacksonville, Florida, in 1997 and were based in Los Angeles beginning in 2000. The band is well known for its singles "Ocean Avenue", "Only One", and "Lights and Sounds". The group's music is distinctive within its genre because it features the prominent use of a violin. The band released ten studio albums, with its most recent and final one, Yellowcard, released on September 30, 2016. The band played its final show on March 25, 2017, at the House of Blues in Anaheim, California. "The Young & the Hopeless" is the fourth single from Good Charlotte's second studio album The Young and the Hopeless. The Young & the Hopeless is also the title track for the album the song featured in. The Chronicles of Life and Death is the third studio album by American pop punk band Good Charlotte, released through Epic and Daylight Records on October 5, 2004. The album was released with two different versions: a "Life" and a "Death" version which came with different cover art and a special bonus track. There is also a Japanese version that has a different cover art as well as the special bonus tracks from both the "Life" and "Death" versions, including the hidden track "Wounded" at the end of the album. The Chronicles of Life and Death is the only album to feature Chris Wilson on drums. Catalyst is the fourth studio album by American pop punk band New Found Glory released on May 18, 2004 through Drive-Thru and Geffen Records. It was the band's last album to be produced by Neal Avron until 2011's Radiosurgery. "The Anthem" is a song by American pop punk band Good Charlotte. It was released on February 28, 2003 as the second single from their studio album The Young and the Hopeless. "Last Night" is a song by American pop punk band Good Charlotte, from their fifth studio album Cardiology. It was released as the third single under Capitol Records on March 7, 2011. The song is a pop punk and alternative rock track and was written by the band and talks about having a not-so-memorable evening but enjoying it. It received mixed reviews from music critics, some thought it was a "weak and forced song", others felt it was a "party anthem". The video is a reconstructed version of the early 1990s Nickelodeon game show Family Double Dare featuring its former host Marc Summers. Waterparks is an American rock band formed in Houston, Texas in 2011. The group currently consists of lead vocalist and rhythm guitarist Awsten Knight, backing vocalist and lead guitarist Geoff Wigington, and drummer Otto Wood. ↑ "Good Charlotte". Good Charlotte. Archived from the original on December 22, 2015. 1 2 3 4 5 Wartofsky, Alona (November 12, 2000). "Mastering the Geek Tragedy". The Washington Post. Fred Ryan. Archived from the original on February 23, 2018. Retrieved February 25, 2018. 1 2 3 4 5 Hoard, Christian (May 1, 2003). "Good Charlotte: The Polite Punks". Rolling Stone. Jann Wenner. Archived from the original on August 16, 2017. Retrieved February 26, 2018. 1 2 Freedom du Lac, J. (March 18, 2007). "A Loser Fairy Tale". The Washington Post. Fred Ryan. Archived from the original on June 29, 2018. Retrieved June 29, 2018. 1 2 D'Angelo, Joe (April 13, 2001). "Good Charlotte Off To A Good Start". MTV. Viacom. Archived from the original on February 25, 2018. Retrieved February 25, 2018. ↑ Sherman, Maria (December 10, 2015). "Good Charlotte's Second Act: Inside Madden Brothers' Pop-Punk Reawakening". Rolling Stone. Jann Wenner. Archived from the original on March 7, 2018. Retrieved June 19, 2018. 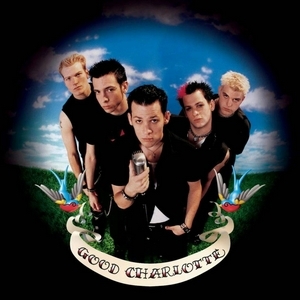 ↑ "Good Charlotte - Good Charlotte | Release Info". AllMusic. All Media Network, LLC. Archived from the original on February 26, 2018. Retrieved February 26, 2018. ↑ Good Charlotte (Booklet). Good Charlotte. Epic/Daylight Records. 2000. EK 61452. ↑ Good Charlotte (Booklet). Good Charlotte. 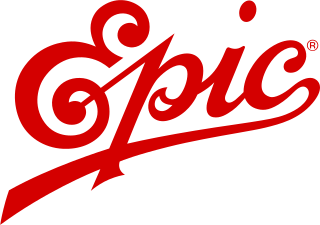 Epic Records. 2001. EICP 210. ↑ Rock Sound (November 2012). "Hall of Fame: Good Charlotte, The Young & The Hopeless". Rock Sound. Freeway Press Inc. Archived from the original on February 13, 2015. Retrieved February 13, 2015. ↑ "Shows". Good Charlotte. Archived from the original on November 10, 2000. Retrieved June 29, 2018. ↑ Tripwire (December 14, 2000). "HFSmas Nutcracker 2000 Review". The Fader. Andy Cohn. Archived from the original on February 23, 2018. Retrieved February 23, 2018. ↑ "News". Good Charlotte. Archived from the original on August 14, 2003. Retrieved February 23, 2018. ↑ "Good Charlotte - Little Things". Australian-charts. Hung Medien. Archived from the original on April 14, 2016. Retrieved February 25, 2018. 1 2 3 Video Collection (Sleeve). Good Charlotte. Epic Records/Daylight Records. 2003. EPC 201883 9. ↑ Nome, Valerie (May 29, 2001). "Staind, Green Day, Tantric, More Rock D.C.'s HFStival". MTV. Viacom. Archived from the original on February 22, 2018. Retrieved February 25, 2018. ↑ "Year End Charts Billboard 200 Albums (2003)". Billboard. Lynne Segall. Archived from the original on January 5, 2018. Retrieved February 23, 2018. ↑ "Year End Charts Billboard 200 Albums (2004)". Billboard. Lynne Segall. Archived from the original on July 26, 2017. Retrieved February 23, 2018. ↑ "ARIA Australian Top 50 Albums". Australian Recording Industry Association. September 24, 2018. Retrieved September 22, 2018. ↑ Thatcher, Autumn (November 20, 2003). "Warped Tour '02 To Feature Bad Religion, NOFX, New Found Glory, More". Red Magazine. The Daily Utah Chronicle. Archived from the original on April 15, 2015. Retrieved February 11, 2017. ↑ Wiederhorn, Jon (August 23, 2002). 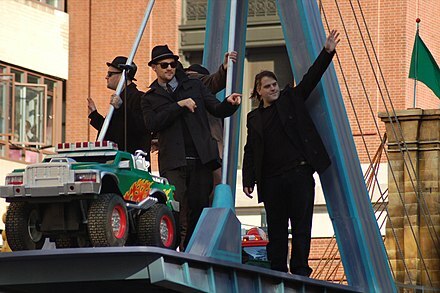 "Good Charlotte Shoot Vid With 'NSYNC, Tenacious D Members". MTV. Viacom. Archived from the original on February 22, 2018. Retrieved February 23, 2018. 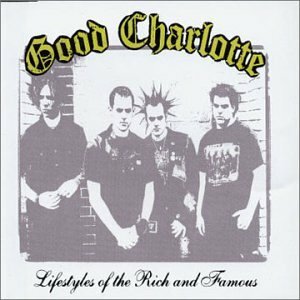 ↑ "Good Charlotte - Lifestyles of the Rich and Famous". Australian-charts. Hung Medien. Archived from the original on February 24, 2018. Retrieved February 23, 2018. ↑ "No Doubt Expands Tour". Kludge. August 17, 2002. Archived from the original on March 5, 2008. Retrieved February 23, 2018. ↑ Staff (October 11, 2002). "For The Record: Quick News On Good Charlotte, White Stripes, Tamyra Gray, Justin Timberlake, Ja Rule, Mariah Carey & More". MTV. Viacom. Archived from the original on February 22, 2018. Retrieved February 23, 2018. ↑ D'Angelo, Joe (August 11, 2003). "Good Charlotte To Reward All The Good 'Boys And Girls' With New Tour". MTV. Viacom. Archived from the original on February 22, 2018. Retrieved February 23, 2018. 1 2 Downey, Ryan J (October 27, 2003). "Good Charlotte Shoot Heavy Clip For Anti-Suicide Song 'Hold On'". MTV. Viacom. Archived from the original on February 22, 2018. Retrieved February 23, 2018. ↑ "News". Good Charlotte. October 27, 2003. Archived from the original on January 13, 2004. Retrieved February 23, 2018. ↑ "Tour dates". Good Charlotte. Archived from the original on December 3, 2003. Retrieved February 23, 2018. ↑ "Hold On/The Young & Hopeless [CD #2] - Good Charlotte | Release Info". AllMusic. All Media Network, LLC. Archived from the original on February 24, 2018. Retrieved February 23, 2018. ↑ "Good Charlotte/The Young & the Hopeless - Good Charlotte | Release Info". AllMusic. All Media Network, LLC. Archived from the original on February 25, 2018. Retrieved February 24, 2018. ↑ UG Team (October 1, 2004). "Leaking Good Charlotte". Ultimate Guitar Archive. Archived from the original on December 2, 2005. Retrieved June 12, 2018. ↑ MTV News Staff (June 11, 2004). "For The Record: Quick News On Good Charlotte, Papa Roach, Rush, Switchfoot, The Cure, Brian Wilson, Gavin Rossdale & More". MTV. Viacom. Archived from the original on February 28, 2018. Retrieved February 27, 2018. ↑ Loftus, Johnny. "The Chronicles of Life and Death - Good Charlotte | Release Info". AllMusic. All Media Network, LLC. Archived from the original on February 28, 2018. Retrieved February 28, 2018. 1 2 D'Angelo, Joe (September 21, 2004). "Good Charlotte, Sum 41 To Embark On Co-Headlining Trek". MTV. Viacom. Archived from the original on February 27, 2018. Retrieved February 27, 2018. 1 2 3 Montgomery, James (May 11, 2005). "Good Charlotte Drummer Leaves Band Over 'Health Problems'". MTV. Viacom. Archived from the original on February 28, 2018. Retrieved February 27, 2018. ↑ DuFour, Matt (September 23, 2004). "Lola Ray, Hazen Street To Tag Along On Good Charlotte/Sum 41 Tour". The Fader. Andy Cohn. Archived from the original on February 28, 2018. Retrieved February 27, 2018. ↑ "I Just Wanna Live". Sony Music Australia. January 17, 2005. Archived from the original on January 27, 2005. Retrieved February 27, 2018. ↑ D'Angelo, Joe (November 19, 2004). "Good Charlotte Mock Their Rich And Famous Selves In 'I Just Wanna Live' Clip". MTV. Viacom. Archived from the original on February 28, 2018. Retrieved February 27, 2018. ↑ Rashbaum, Alyssa (January 19, 2005). "Good Charlotte, Kelly Clarkson, Hoobastank Sign On For MTV Asia Aid Benefit". MTV. Viacom. Archived from the original on February 28, 2018. Retrieved February 27, 2018. ↑ "Good Charlotte To Tour This October!". Sony Music Australia. July 5, 2007. Archived from the original on September 1, 2007. Retrieved June 12, 2018. 1 2 3 Montgomery, James (February 28, 2005). "Good Charlotte, Simple Plan Launching Joint Tour In May". MTV. Viacom. Archived from the original on February 28, 2018. Retrieved February 27, 2018. ↑ Diver, Mike (February 3, 2005). "The Explosion, um, EXPLODE, all over 2005..." Drowned in Sound. Silentway. Archived from the original on February 27, 2018. Retrieved February 27, 2018. ↑ Montgomery, James (March 28, 2005). "Good Charlotte/ Simple Plan Tour To Start Two Days Early". MTV. Viacom. Archived from the original on February 27, 2018. Retrieved February 27, 2018. ↑ Montgomery, James (March 31, 2005). "Good Charlotte Take Off The Hamburger Suits, Decry Human Suffering In New Clip". MTV. Viacom. Archived from the original on February 27, 2018. Retrieved February 27, 2018. ↑ Matera, Joe (March 3, 2007). "Good Charlotte: Starting Over With New Album". Ultimate Guitar Archive. Archived from the original on June 13, 2018. Retrieved June 13, 2018. ↑ "The Chronicles of Life and Death". Sony Music Australia. June 3, 2005. Archived from the original on September 2, 2007. Retrieved February 27, 2018. ↑ "We Believe - Good Charlotte | Release Info". AllMusic. All Media Network, LLC. Archived from the original on February 28, 2018. Retrieved February 28, 2018. 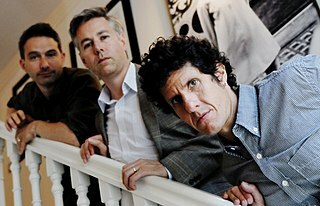 ↑ Kaufman, Gil (September 23, 2005). "Good Charlotte, Bright Eyes To Play Bridge School Benefit". MTV. Viacom. Archived from the original on February 28, 2018. Retrieved February 27, 2018. ↑ "The Chronicles of Life and Death". Sony Music Australia. November 13, 2005. Archived from the original on September 1, 2007. Retrieved February 27, 2018. ↑ Good Charlotte band (December 5, 2007). "Keep Your Hands Off My Girl – Video Certified GOLD by MTV International". Goodcharlotte.com. Archived from the original on December 6, 2007. 1 2 James Montgomery (November 18, 2008). "Good Charlotte Fill Blink-182's Void On Next LP, Tide Fans Over With Remix Album". Tim Kash. MTV. Archived from the original on December 31, 2008. Retrieved August 19, 2011. ↑ "Believe in Zero". Goodcharlotte.com. November 21, 2008. Archived from the original on February 12, 2009. Retrieved August 19, 2011. ↑ "Don Gilmore credits". AllMusic. Archived from the original on September 5, 2012. Retrieved January 2, 2014. ↑ "Cardiology Update Stu Deeeee Ooohhhhh Studio". Good Charlotte. January 19, 2010. Archived from the original on January 23, 2010. Retrieved August 19, 2011. 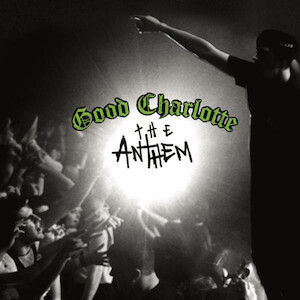 ↑ "Good Charlotte – Like it's her Birthday FEAT: Tonight Alive". YouTube. November 1, 2010. Archived from the original on May 22, 2013. Retrieved December 18, 2012. ↑ "Cardiology Tour". Archived from the original on January 16, 2011. Retrieved April 11, 2011. ↑ "Good Charlotte Interview w/ Robert Herrera". Punkvideosrock.com. Archived from the original on January 4, 2014. Retrieved June 15, 2011. ↑ "Good Charlotte announce plans to go on hiatus | News". NME . September 1, 2011. Archived from the original on January 3, 2014. Retrieved November 8, 2011. ↑ Sharp, Tyler (November 6, 2015). "Good Charlotte Are Back! #WelcomeBackGC". AltPress.com. Alternative Press. Archived from the original on November 6, 2015. Retrieved November 6, 2015. ↑ Hingle, James (November 6, 2015). "Good Charlotte Return, Announce New Single". Kerrang.com. Kerrang. Archived from the original on November 6, 2015. Retrieved November 6, 2015. ↑ Sharp, Tyler. "Good Charlotte to Stream Makeshift Love Single Today!". AltPress.com. Alternative Press. Archived from the original on November 6, 2015. Retrieved November 6, 2015. ↑ Hingle, James (November 13, 2015). "The New Good Charlotte Music Video Features Mikey Way". Kerrang.com. Kerrang!. Archived from the original on November 13, 2015. Retrieved November 13, 2015. ↑ Hall, Mackenzie (November 13, 2015). "Good Charlotte Release Music Video for "Makeshift Love"". AltPress.com. Alternative Press. Archived from the original on November 13, 2015. Retrieved November 13, 2015. ↑ Sharp, Tyler (November 19, 2015). "This is the Anthem: Live Updates from Good Charlotte's Comeback Show!". AltPress.com. Alternative Press. Retrieved November 20, 2015. ↑ Sharp, Tyler (November 6, 2015). "Good Charlotte Announce Comeback Show!". AltPress.com. Alternative Press. Archived from the original on November 6, 2015. Retrieved November 6, 2015. ↑ Sharp, Tyler (March 30, 2016). "Good Charlotte to drop comeback album days before Warped Tour headlining shows". Alternative Press. Alternative Press. Archived from the original on March 30, 2016. Retrieved March 30, 2016. ↑ Greenwald, Morgan (March 14, 2016). "Good Charlotte Announces Mini-Tour, Sixth Album After Six-Year Hiatus". Billboard. Billboard. Archived from the original on March 15, 2016. Retrieved March 15, 2016. ↑ Ahmed, Tufayel (July 15, 2016). "Benji Madden on Good Charlotte's Comeback, Cameron Diaz and Society's Celebrity Obsession". Newsweek. Dev Pragad. Archived from the original on April 25, 2018. Retrieved June 18, 2018. ↑ Sharp, Tyler (January 7, 2016). "Good Charlotte to release comeback album". Alternative Press. Alternative Press Magazine, Inc. Archived from the original on March 15, 2016. Retrieved June 19, 2018. ↑ "A GC Christmas, Pt. 1". December 8, 2017. Retrieved December 10, 2018. ↑ "Good Charlotte return with new album, single and 2019 tour details". ↑ Spanos, Brittany (May 25, 2018). "Hear Good Charlotte Preview New LP With Dark New Song 'Actual Pain'". ↑ Spanos, Brittany (May 25, 2018). "Hear Good Charlotte Preview New LP 'Generation Rx' With Dark Song 'Actual Pain'". Rolling Stone. Archived from the original on July 8, 2018. Retrieved September 12, 2018. 1 2 Watterson, Kaleigh (September 11, 2018). "Good Charlotte: 'We want to ask questions'". BBC News. Archived from the original on September 12, 2018. Retrieved September 12, 2018. ↑ "Good Charlotte: "We love every song on the record. There's no filler"". Upset. June 12, 2018. Archived from the original on September 12, 2018. Retrieved September 12, 2018. ↑ Wilder, Darcie (July 19, 2016). "How I Learned To Love Good Charlotte Again". MTV. ↑ Lewis, Catherine P. (October 23, 2006). "Being Good With Good Charlotte". The Washington Post . ↑ Azerrad, Michael (January 4, 2004). "Punk's Earnest New Mission". The New York Times . ↑ Wilson, MacKenzie. "Good Charlotte | Biography & History". AllMusic. ↑ Carter, Brooke (March 16, 2017). "When happened to Benji Madden". The Gazette Review. ↑ Graff, Gary (February 10, 2007). "The Young and the Hopeful". Billboard . Vol. 119 no. 6. p. 38. ISSN 0006-2510. ↑ Devoe, Noelle (November 4, 2015). "Good Charlotte is Back With New Music — Listen Now!". Seventeen . ↑ Cassidy, Austin (December 3, 2014). "The 10 best Good Charlotte songs". AXS. ↑ "Get your skate punks on". Hot Press . December 17, 2002. ↑ Brown, Eric Renner (November 5, 2015). "Good Charlotte share snippet of new music, hint at return". ↑ Fores, Betsi (March 26, 2013). "'I'm not okay': 10 great emoments in honor of My Chemical Romance [SLIDESHOW]". The Daily Caller . ↑ Britt, Bruce (May 19, 2004). "Good Charlotte Makes Great Music". Broadcast Music, Inc.
1 2 Wartofsky, Alona (November 12, 2000). "Mastering the Geek Tragedy". The Washington Post . ↑ D'Angelo, Joe (September 15, 2004). "How Green Day's Dookie Fertilized A Punk-Rock Revival". MTV. ↑ "PETA's 25th Anniversary Gala and Humanitarian Awards Show". Peta2.com. Archived from the original on March 27, 2012. Retrieved August 19, 2011. ↑ "Good Charlotte Take On KFC". Peta2.com. Archived from the original on August 6, 2012. Retrieved December 15, 2012. ↑ Daniel Burt (December 12, 2012). "Sold out for a poultry sum". Brisbane Times. Archived from the original on January 4, 2014. Retrieved December 15, 2012. Wikimedia Commons has media related to Good Charlotte .